Google emphasizes web addresses displayed below the links to the search results. URLs are a lot larger and are harder to ignore. 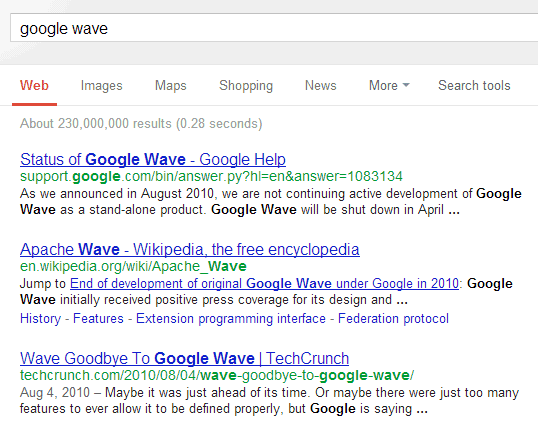 The "share" link for Google+ is also more visible, although it's still displayed when you mouse over a search result.